Is There a 'Mission: Impossible - Fallout' End Credits Scene? Mission: Impossible – Fallout is hitting theaters in just a few hours and fans are anxiously awaiting an answer to the question: do any additional scenes play after the credits? Well, we have intel that once the credits begin rolling, you can leave! There is nothing after the credits for this movie. The cast features an all-star lineup including Tom Cruise, Henry Cavill, Ving Rhames, Simon Pegg, Rebecca Ferguson, Sean Harris, Angela Bassett, Vanessa Kirby, Wes Bentley, Alec Baldwin, and Michelle Monaghan. Currently, the movie is getting raves and has a 97% on Rotten Tomatoes. The cast just completed a comprehensive world press tour and the hype is real! Check out the trailer one last time before the film hits theaters. Kevin Costner is celebrating the premiere of his new show Yellowstone! The 63-year-old actor stepped out at the show’s premiere on Monday (June 11) at Paramount Pictures in Los Angeles. Kevin was joined by his co-stars Kelly Reilly, Dave Annable, Kelsey Asbille, Wes Bentley, Ian Bohen and Luke Grimes. The new Paramount Network show follows a ranching family in Montana as they face off against others encroaching on their land including land developers, an Indian reservation and America’s first National Park. Yellowstone premieres on June 20th. FYI: Kevin is wearing Brioni. 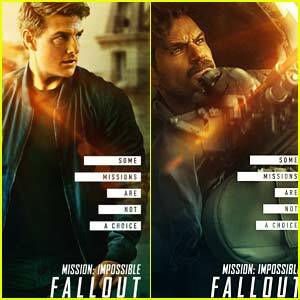 'Mission: Impossible - Fallout' Character Posters Revealed! The Mission: Impossible – Fallout character posters are here! 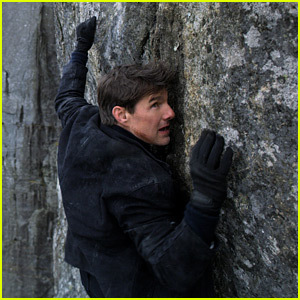 The new film in the series finds Ethan Hunt (Tom Cruise) and his IMF team (Alec Baldwin, Simon Pegg, Ving Rhames) along with some familiar allies (Rebecca Ferguson, Michelle Monaghan) in a race against time after a mission gone wrong. Henry Cavill, Angela Bassett, Vanessa Kirby, and Wes Bentley also star in the new film in the franchise. The movie is set to hit theaters on July 27. Be sure to check it out! Hailee Steinfeld looked stunning at the Paramount Network launch party! The 21-year-old actress and singer hit the carpet at the event held at Sunset Tower on Thursday (January 18) in Los Angeles. She wore a plunging black top with a black and silver belt, matching pants, and black pumps, completing her look with a pop of red lipstick. 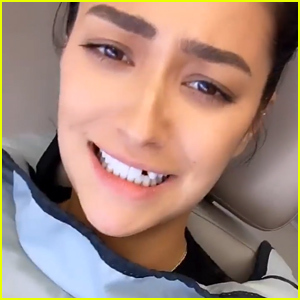 She was joined by Selma Blair, LL Cool J, Jack Griffo, Sofia Reyes, Kira Kosarin, Taylor Kitsch, Jorge Lendeborg Jr., Shannen Doherty, James Scully, Grace Victoria Cox, Cole Hauser, James Tupper, and Cheyenne Jackson. Trace Adkins, his wife Rhonda Forlaw, Rachel Ramras, Kyle Richards, Wes Bentley, Camryn Manheim, Melanie Field, Mena Suvari, Gil Birmingham, Erica Ash, Kelsey Asbille, Hugh Davidson, Dave Annable, Jon Taffer, Larry Dorf, and Darren Star also stepped out to show their support. Hailee and LL Cool J also attended the Lip Sync Battle Live: A Michael Jackson Celebration at the Dolby Theatre in Hollywood that same night. FYI: Hailee is wearing Barbara Bui. Cheyenne is wearing Topman. Grace is wearing a Jonathan Simkhai dress, Charlotte Olympia shoes, and Alexis Bittar jewelry. 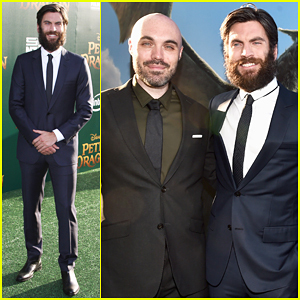 Wes Bentley Suits Up For 'Pete's Dragon' World Premiere! Wes Bentley is dapper in a suit while hitting the green carpet at the world premiere of his latest film Pete’s Dragon held at the El Capitan Theater on Monday (August 8) in Hollywood. The 37-year-old actor was joined at the event by his co-star Oakes Fegley, director/co-screenwriter David Lowery, as well as Mario Lopez and his daughter Gia, Beverley Mitchell with husband Michael and their two kids Kenzie and Hutton, Pete Wentz, Tiffani Thiessen, Rachel Roy and Matthew Lillard, who all came out to show their support. Pete’s Dragon, which also stars Bryce Dallas Howard and Robert Redford, opens in theaters nationwide on Friday (August 12) – We can’t wait! FYI: Oakes is wearing Burberry. Ryan Murphy Teases 'American Horror Story' Season 6: We're Working on 'Two Ideas at Once'! Sarah Paulson and Matt Bomer arrive for the 2016 PaleyFest panel of their hit show American Horror Story: Hotel held at the Dolby Theatre on Sunday (March 20) in Hollywood. Also in attendance for the panel were co-stars Angela Bassett, Wes Bentley, Finn Wittrock, Kathy Bates, Cheyenne Jackson, and Denis O’Hare. Creator Ryan Murphy spoke about the upcoming season six during the panel, and revealed they have two ideas in mind for the new episodes. “The interesting thing about this season is we’ve been working on two ideas at once, which we’ve never done. So I don’t want to say what it maybe is. Both things that we’re writing right now – we haven’t declared a winner – will have a different form, so we’re excited about that. We’ll talk about it soon, but we haven’t landed on it yet,” Ryan said. FYI: Sarah is wearing a Philosophy dress and Tamara Mellon shoes.